I received some information that the new Capture One Pro 12 version is rumored to be announced in January 2019. 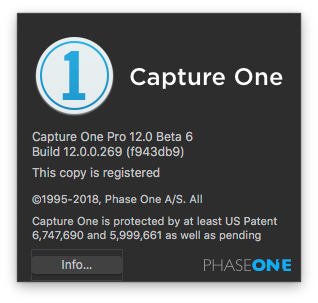 If you have been thinking about purchasing the current Phase One Capture One Pro 11, maybe you should wait another month or two. This entry was posted in Capture One, Phase One and tagged Capture One Pro, Capture One Pro 12. Bookmark the permalink. Trackbacks are closed, but you can post a comment.